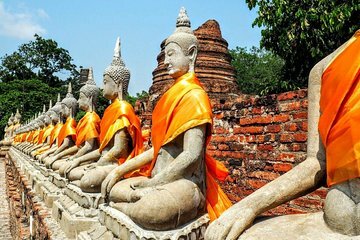 The UNESCO World Heritage Site of Ayutthaya is a must-visit day trip destination from Bangkok. This tour is the easy way to get there as you won’t have to worry about catching a bus on your own. You’ll spend a whole day touring the archaeological sites, palaces, and temples of the former capital of Thailand. The tour includes a delicious lunch and a river cruise back to Bangkok.